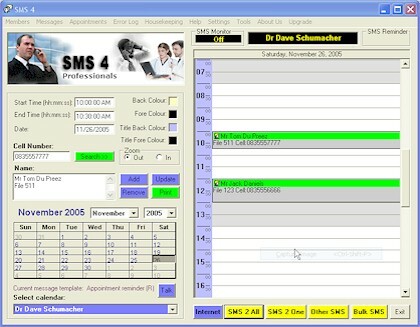 Main calendar screen - manage daily appointments electronically and click 'SEND ALL' to quickly send a message to everyone in the list. 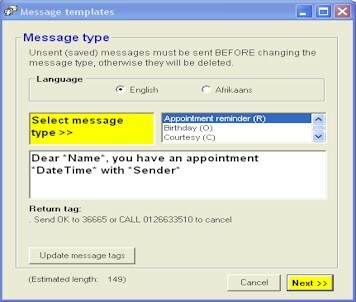 Message templates - Select a message from the list of templates (templates can be changed as required) to save time and effort. 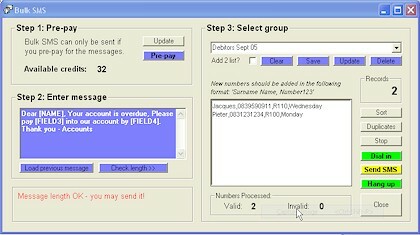 Send SMS - Messages are automatically compiled with unique receiver- and sender names, and the date/time of an appointment where applicable. It takes only a few seconds to send all messages. Track SMS conversations - Outgoing and incoming SMS messages can be tracked and viewed with a two-way messaging or premium rated account. 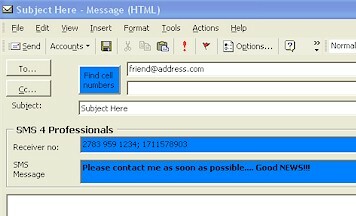 Bulk SMS - Create an unlimited number of contact lists and send personalised messages to everyone in seconds. Database - Create a client database and use the powerful search engine to locate anyone name, email or phone number in the list. Data is stored ONLY on the user's computer to ensure maximum security and ease of mind. 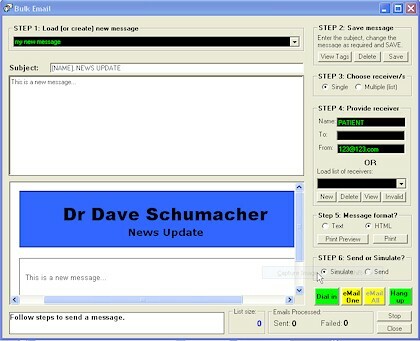 Network Chat - Send messages to other users on the network for fast end efficient communication in an office environment. 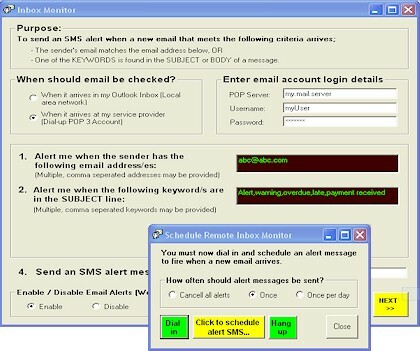 Email Alerts - Receive alert messages on a mobile phone when important email arrives in your mailbox. A powerful feature when fast customer support is high on your priority list. 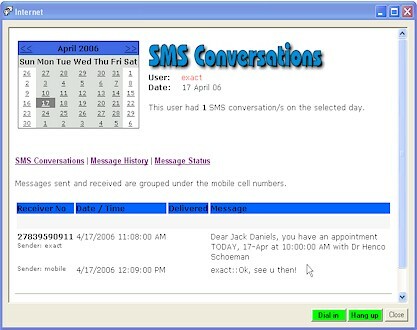 Outlook Integration - Send SMS messages directly from Outlook address lists, appointment calendars or email forms! Bulk Email - Create unlimited email contact lists and send newsletters, product information, event notifications, etc to all your clients (Free of charge). Over-counter Invoicing - Create an unlimited number of billing items, link them to appointments and create invoices on the fly. 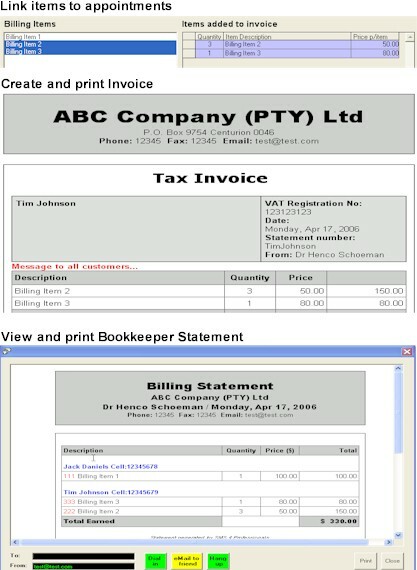 At the end of the day a Billing Statement with a summary of the day's transactions can be printed for processing by a bookkeeper.